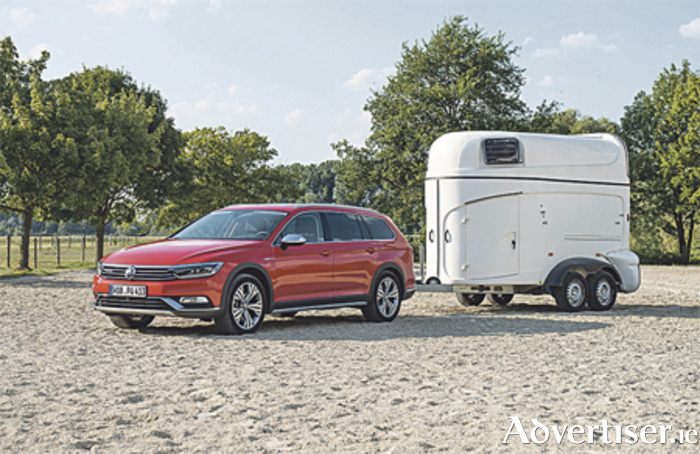 Volkswagen is celebrating a number of class wins and an overall victory in the annual UK’s Caravan Club Towcar of the Year Awards. The 4MOTION-equipped all-wheel drive Passat Alltrack has been named Towcar of the Year, 2017, while the Passat and its smaller sibling, the 4MOTION-equipped Golf Alltrack, have taken three class wins between them. In the respected awards, once again presented in London, the Passat Alltrack won Category 5 (the £32,000 to £35,000 category ) and also scooped the honours in the hotly contested All-Wheel Drive Under 1800kg category. The Passat Alltrack then went on to take the biggest prize of all: Caravan Club Towcar of the Year. Meanwhile, the Volkswagen Golf Alltrack triumphed in Category 4 (£29,000 to £32,000 ). The Passat Alltrack was singled out as the best of the best thanks to its combination of advanced technology and attractive affordability. The car features permanent all-wheel drive with a Haldex coupling, which means the drive is sent to the rear wheels as soon as it is needed. Versatility is another reason why the Passat Alltrack is Towcar of the Year. The car is available with a 150PS 2.0-litre diesel engine with a six-speed manual gearbox or with a 190PS 2.0-litre diesel unit with a six-speed DSG automatic gearbox. The configuration that won the Towcar of the Year Award was the 150PS option, while both engines have a braked towing capacity of 2200 kg and an unbraked capacity of 750 kg. This is the third time in eight years that Volkswagen has taken top spot at the awards.